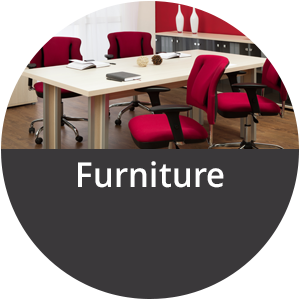 From Equipment and Office Furniture, to IT Service, Cardinal Covers it All. I have dealt with Mike Smith for over 30 years and Cardinal for the last 12. 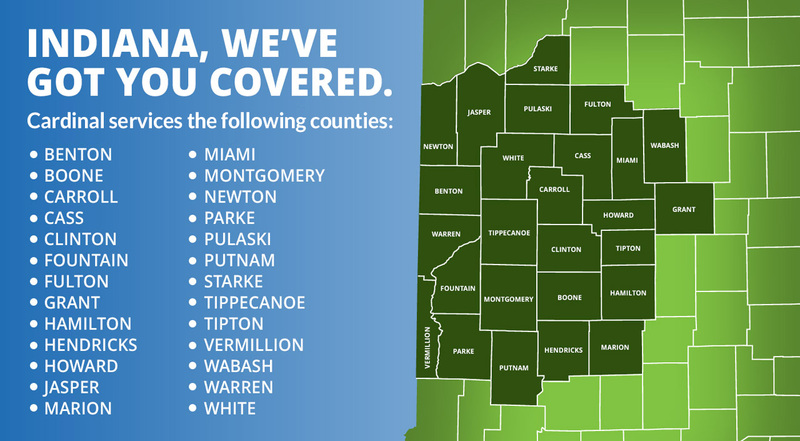 There has never been an instance where Cardinal or Mike has not met or exceeded my expectations in support or pricing for us here at Farmers Bank in Frankfort. We have over 12 of his units in a radius of 40 miles, and never once has my staff ever mentioned the lack of support or professional courtesy. I would highly recommend, at the least, to give Cardinal an opportunity to be a vendor for your copier/printing/scanning needs. Our Sales Rep Melissa focused on finding solutions for us that we hadn’t considered rather than pitching us a hard-sell on products. She took a genuine interest in improving our business and helped us realize that we could print our own product manuals on the day we needed them instead of ordering them in bulk out of house. This saved us on ordering time and obsolete inventory and allowed us to quickly make updates to manuals with zero waste. This saved us thousands of dollars per year. The equipment has performed flawlessly, and the service from Cardinal couldn’t be more easy and prompt. Who: Epson®, a leading provider of business imaging solutions, along with its preferred partners, will be exhibiting its lineup of business technology solutions at ITEX 2019 in booth #311. 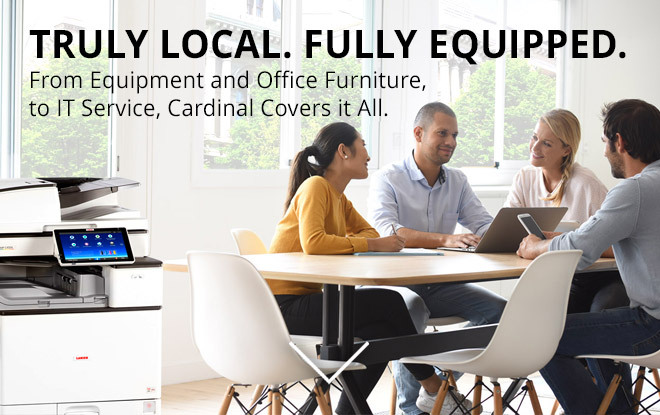 The compact Lanier IM 350F MFP fits almost anywhere, so you can make the most of your workday and budget. Use the sleek, affordable do-everything device in offices, banks, pharmacies, hospitals and other locations to print up to 37 black-and-white pages per minute (ppm) and to copy, fax, scan and share documents in seconds. Handle the biggest challenges from the desktop with the Lanier IM 430F Black and White Multifunction Printer. Add paper trays to expand paper capacity to 2,100 sheets for fewer interruptions. Copy notes, statements and more at 1200 dpi. Print on a wide range of stocks and sizes up to 8.5" x 14", including envelopes and labels. Use an optional offline stapler to organize document sets quickly. Be smart about the way you work choose the RICOH IM C2000 Color Laser Multifunction Printer (MFP) to enhance print, copy, scan and fax tasks and move information easily. 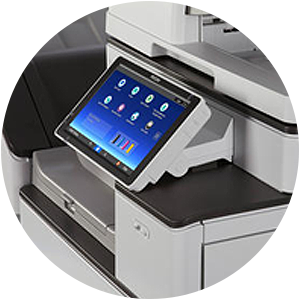 This MFP is built with the scalable intelligence of RICOH Always Current Technology (ACT) platform to grow as your business does. Effortlessly download software, applications and cloud services as they become available. 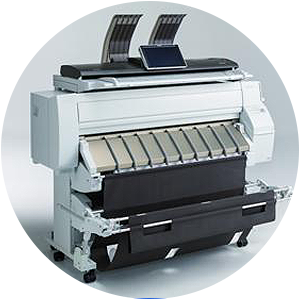 Sustain productive performance with the easy-to-use RICOH IM C2500 Color Laser Multifunction Printer (MFP). Built with RICOH Always Current Technology (ACT), the device can be upgraded via downloadable software and applications as new capabilities become available. Use the highly responsive touchscreen to access critical information. Receive technical support at a moment's notice. Show just how smart you are and how productive you can be with the RICOH IM C3000 Color Laser Multifunction Printer (MFP). 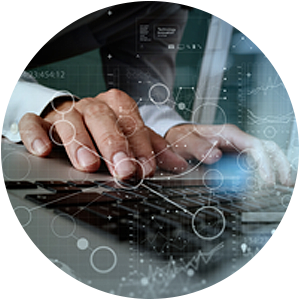 Capitalize on the scalable intelligence of RICOH Always Current Technology (ACT) platform to expand the capabilities of the device, so it grows as your business does. 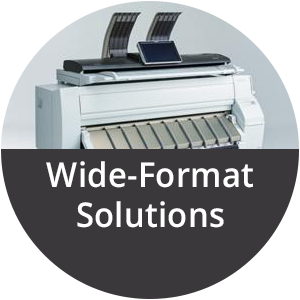 Use it to showcase and share more ideas via advanced print, copy, scan and optional fax capabilities. The RICOH IM C3500 Color Laser Multifunction Printer (MFP) features RICOH Always Current Technology (ACT) for on-demand access to new applications, software and cloud services. 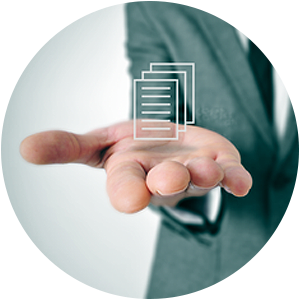 Use the standard and enhanced features to perform print, copy, scan and fax tasks with speed, precision and security well into the future. Showcase the scalable intelligence of the RICOH IM C4500 Color Laser Multifunction Printer (MFP) and share more information with incredible speed, precision and reliability. 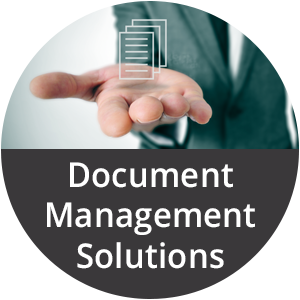 Built on RICOH Always Current Technology (ACT) platform, the device can be updated quickly with new features, enhancements and online services to simplify and expedite print, copy, scan and fax tasks. 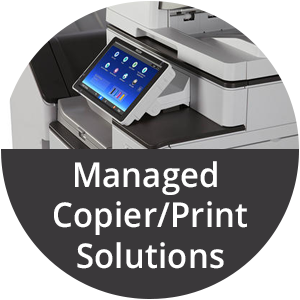 With our comprehensive Managed Copier Solutions, you can choose from a variety of superior printers and other devices for your specific needs. Reduce your reliance on physical storage and the costs that go with them, We will help improve the security & the accessibility of your information. 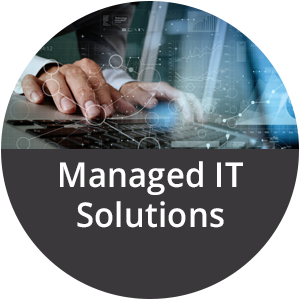 Cardinal offers all-encompassing Managed IT Solutions to ensure that your network stays up and running. 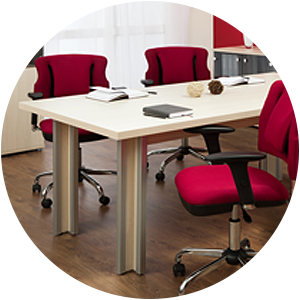 We understand your office needs to stay on track, that’s why we offer an extremely diverse assortment of supplies and furniture for your office. Print more effectively when you need larger documents such as Architectural designs, Storefront banners and Advertising & marketing materials.